Excellent producer of working dogs. We have had 1 litter with Gypsy and are verypleased in what she has produced in Drive, Nerves and Trainability. 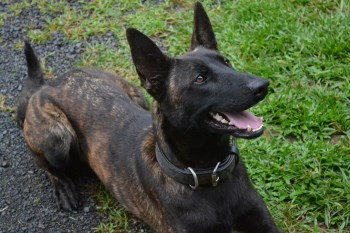 Female for any kennel wanting to breed High Quality Working Dogs. 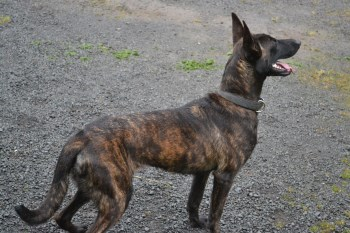 Gypsy, a Super Dutch Shepherd with substantial bone and head. Gypsy has very solid nerves and showing Outstanding working drives in all phases of work. Gypsy was already gripping the hard sleeve and upper arm sleeve at 8 weeks of age. She is a very outgoing female and super confident in everything she does. Gypsy has an excellent KNPV pedigree and is line breed 4-4 on Duco II, loaded with many other Top Producing KNPV Working dogs Old and New.